We are an ambitious and expanding company with more than 15 years experience working in the Scandinavian, UK and Russian private and commercial property markets. We currently have an office based in the Port of Mazarrón, which is located in the Costa Calida, Murcia, Spain. We ourselves have invested in this wonderful area, both in terms of real estate and employment. Why? The reasons for this are many, but the most important of all are: the wonderful microclimate, the dramatic landscape (which is unlike any other Costa in the whole of Spain!) and the original Spanish charm of this location where the local population is made up of 79% Spanish inhabitants. We were drawn to explore this location as an area of opportunity and growth. We have chosen the Costa Calida as our permanent home and have been developing working relationships with local employers and the real estate industry and, indeed, making our contribution to the economic growth of the area. Our primary aim is to assist in the growth and strength of the property industry in the region of Murcia, Spain. This can only be achieved by operating with integrity, consistency and delivering a high quality service to our clients. 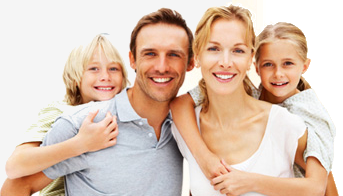 We focus on our clients’ individual investment requirements before, during and after the process of buying and selling a property. We specialise in areas around the beautiful Bay of Mazarron, from Bolnuevo at one end, through the Port of Mazarron itself, El Alamillo and Isla Plana to La Azohia at the other end of the bay, as well as selected quality inland locations. We provide continuous training for our highly motivated team in marketing and selling properties in this ever evolving industry and constantly seek to improve on the quality of service we can offer. Most recently, we have submitted to voluntary regulation by becoming members of the Association of International Property Professionals, which requires members to follow a professional Code of Conduct, thus enhancing our reputation and credibility in what remains a largely unregulated industry in Spain, as well as providing additional peace of mind for our clients. We aim to provide the best quality service to both our buying and selling clients, achieving this through the following process: Assess every one of our clients’ property requirements regarding budget and motivation for investment; Source only relevant properties for our property investors; Provide the best professional property conveyance service; Provide our clients with the best friendly advice, support and guidance throughout the buying and selling process; Provide professional financial advice without obligation; Offer a more relaxed and enjoyable experience, delivering the best outcome for all our clients. We offer all types of property conveyance services, helping to make the process for our clients, both buyers and sellers, stress free by removing many of the usual challenging tasks involved in the purchasing process: Notarial procedures at the Land Registry; Confirm that all the property paperwork is legal and current, such as: habitability certificate, water and electricity bills; Liquidation of taxes at the Tax Office. Our service doesn’t end there, we offer further after sale services: Ownership contract changes for utility bills, town hall, community; Wills and notarial documents; Registration of vehicles; Taxes, including non resident taxes; and finally, we are happy to help source reliable tradespeople for any refurbishment of your property including brickwork, plumbing, electricity, decorating and general management maintenance. 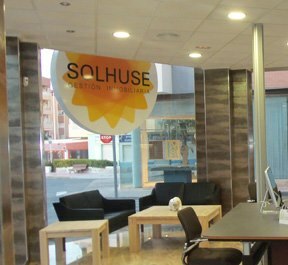 Solhuse Real Estate Agency Puerto de Mazarrón Aiming to be the Best Estate Agency in the Costa Calida!